Shawn’s 18 years’ experience as a communications coach with CEOs, executives, and attorneys of major corporations and law firms has proven invaluable in helping clients focus their thinking, direct how their message is perceived, and transform the way they view being in the spotlight. She is a certified qualified administrator of the Intercultural Development Inventory (IDI), an assessment tool used to build intercultural competency for individuals and groups within organizations. She is also certified in brainskills@work: neuroscience of positive change. In 2014, Shawn was appointed by the Minnesota Supreme Court to serve on the Lawyers Professional Responsibility Board, and is also a board member of the St. Paul Conservatory for Performing Artists. 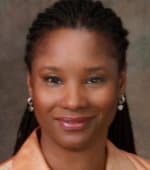 She is a former board member of the National Association of Women Business Owners, Minnesota Chapter, and has served as a member of the Guthrie Theater’s Community Advisory Committee. Shawn became aware of Thera Rising International after hearing Anna Maravelas speak at a conference. After taking the Conflict Savvy! seminar, she knew that Thera Rising’s approach to conflict resolution would be a great addition to her programming, and help her expand and deepen the quality of her customer service. She became certified in 2017.